Previously on social media, even the minister K.T. Rama Rao had agreed that he was not satisfied with the condition of the roads. People are continuing to complain about bad roads on Twitter handles of TRS leaders. Hyderabad: Bad roads continue to be the most popular topic while campaigning against TRS on social media. 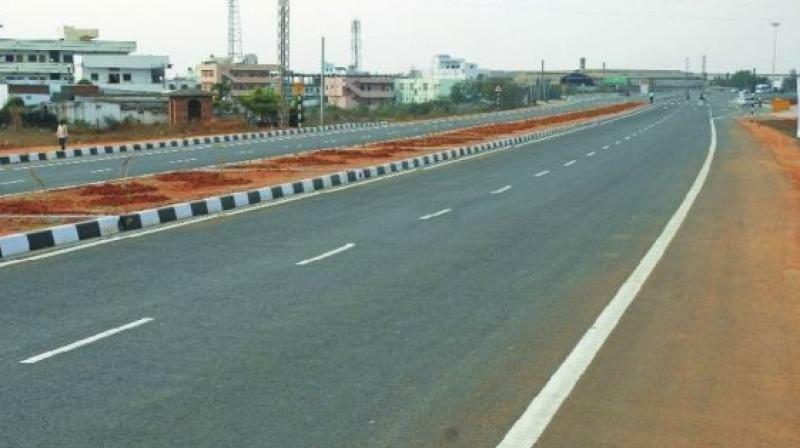 On Tuesday BJP Telangana State President Dr K. Laxman raised the issue of bad roads in social media while TPCC Chief Uttam Kumar Reddy shared pictures of bad roads last week. Previously on social media, even the Minister had agreed that he was not satisfied with the condition of the roads. People are continuing to complain about bad roads on Twitter handles of TRS leaders. However Mr. Reddy shared some pictures of Bengaluru potholes along with Hyderabad which allowed the ruling party to troll them. It is evident that when campaigning on social media issues like roads with which netizens can connect are being used to campaign. Often emotional issues also drive people to social media. It was along these lines that Mr. Rama Rao was able to get support from NRIs and the urban youth as he struck a chord with them on twitter by raising emotional issues which they can relate to. Social media experts opine that social media is filled with urban voters who are different as they don't expect freebies but a better infrastructure. While the demands of urban voters are more manifested in social media, ironically it is the urban voters who do not vote. Experts opine that this will propel them to at least think about it. Mr. Naresh Arora, Social Media expert and Director of DesignBoxed said, "Social media caters to varied perspectives, so there is a multiplicity of points of views. If someone goes through a bad road experience, they find it pertinent enough to bring it to the notice of the authorities by putting it up on social media. This action is prompted by the awareness that social media holds the power to get issues noticed. This awareness maybe lacking amongst certain section of the masses, for whom social media is limited to Facebook only." He added that the content being shared on social media is diversifying every day with the propagation of the awareness associated with it. Therefore, there are all kinds of content being shared on social media platforms, depending upon the level of awareness around it.